The year 2015 will be remembered as the year cannabis prohibition was dealt deadly blows in Canada. With a huge victory at the Supreme Court of Canada for cannabis extracts, municipal governments preparing to license storefront dispensaries and a new federal government intent upon legalizing the herb, the future has never looked so green. However, the celebrations are tempered with a fresh taste of wrath against the laws, as recent raids against dispensaries across the land have left many patients and caregivers in a terrible position and big business appears poised to capitalize on the changing landscape. Never has there been so much opportunity and uncertainty, hope mixed with bitter frustration. So much momentum is building in the industry, that by the end of the year many veteran advocates feel like their head is spinning at the surge in acceptance cannabis is experiencing in mainstream society. We are witnessing the last death throes of evil laws that crushed life, withheld medicine and distracted the justice system from real criminals. Now that Justin Trudeau and the federal Liberals seem prepared to legalize cannabis, there is a great deal of uncertainty about how the future industry will function. Many fear large corporations will control the supply and distribution of cannabis, using the relatively new Marijuana for Medical Purposes Regulations as a model to control the market by only authorizing large, heavily regulated growers. Giving the industry over to government owned stores selling corporate cannabis is a nightmare that could become a reality if common sense does not prevail. No doubt the unanimous victory by Owen Smith and his star lawyer Kirk Tousaw at the Supreme Court of Canada on June 11, 2015 was not only the greatest court triumph in the history of this battle, but it has spurred on an interest in the vast potential of cannabis as medicine and exposed the insanity of prohibitionists like Rona Ambrose. Undermining the authority of the drug approval process, the SCC has opened the doors for patients to use cannabis derivatives and for Licensed Producers under the MMPR to produce extracts without having to conduct expensive double-blind studies before going to market. Doctors reluctant to recommend the herb because they have a problem with suggesting a patient smoke or inhale a drug, suddenly have been forced to admit cannabis can be used in many forms other than a joint and that it has many benefits they have ignored. Perhaps the most clear sign of change to most Canadians has been the sudden boom in cannabis dispensaries across the country. In the last year the number of storefront operations selling cannabis in this country has likely tripled, with so many in Vancouver, Victoria, and Naniamo that they have decided they need to create some bylaws to regulate the dispensaries as much as possible. While there are some major problems with these regulations, including the prohibition of on-site consumption, restrictions on edible products and measures to limit the number of dispensaries, there is no doubt the proliferation of storefront cannabis businesses has helped spur on the industry. Since this process started before the Liberals won the election, it seems obvious that dispensaries should be included in the new legalization scheme but that is not the case. The provinces will be left to make the majority of decisions regarding the actual sale of cannabis, with some like Alberta showing virtually no interest in the industry at all while Ontario seems committed to setting up liquor stores with the herb. For those clubs that have got their foot in the door with their local government, the challenge is now to convince the provincial politicians that the industry can be counted upon to regulate itself like most other sectors of the economy. Of course, the last year was mixed with a number of police raids on medical cannabis dispensaries across the country. At least 9 clubs in BC, Alberta, Saskatchewan, Manitoba and Nova Scotia were busted by police, though most quietly reopened soon after the raid. Encouraged by the raving Pamela McColl and her one-person empire known as Smart Approaches to Marijuana, many police seem undaunted by the growing tide of change happening around them. Being the first industrialized country in the world to commit to legalizing cannabis, Canada is poised to lead the world towards major improvements in the economy, health care, and the criminal justice system. 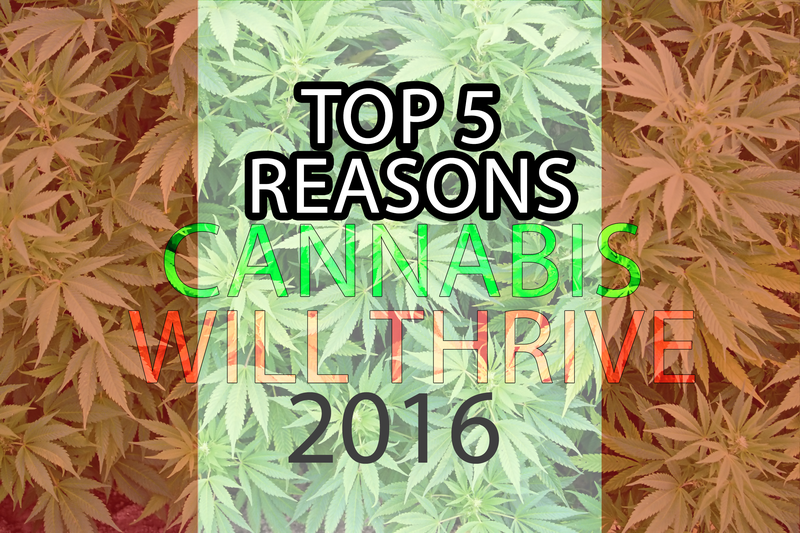 With so much potential ahead, the excitement feels electric at any large gathering of cannabis advocates. While there are still many battles ahead, for now we can sit back and celebrate the holidaze knowing this past year was the best ever for cannabis in Canada. 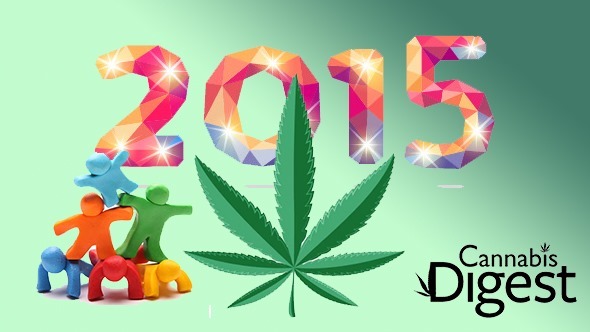 Merry Cannabis and Hempy New Year everyone. Previous article Police Raid Plans: Are You Prepared? It’s extremely saddening to hear that Canada has the same dispensary raids that the US has. I thought surely they would be above that. So the police break in, rob your store (err, I mean, “seize” your “assets”), and then… you just reopen it anyway? Almost sounds like a crime, doesn’t it? And we’ll be ramping our efforts up so-much-so to ensure Canada gets this right the 1st time out of the gate…. Global shining example, so we’d better HAMMER-HOME the message that this plant belongs in every garden & field it can possibly grow.. Onward!!! proud of everyone who has put their lives on the line in this effort to ensure each Canadian’s access & self-reliance is equally protected & for future generations to NEVER have to be subjected to this profound absurdity ever again.